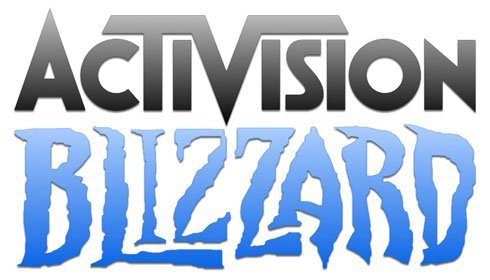 The latest round of financials from Activision Blizzard have been released, and although there’s no Diablo news included, there were some interesting points of note. Blizzard always keeps their active user numbers close to their chest but the financial results do give us an idea of how many gamers are playing Blizzard games. According to their own numbers, Blizzard has seen their games rise to 41 million active users per month up from 26 million for the same period last year. So why the increase? The increase is due to the phenomenal sales of Overwatch which has sold more than 30 million copies. Overwatch has also now become Blizzard’s fastest growing new franchise and it’s become Activision’s eighth title to make more than a billion USD since launch. I often read comments about how Blizzard just doesn’t have the money to support Diablo because the game has no subscription or monetisation but surely there’s enough cash to go around to keep all their customers happy no matter what the franchise. With the Necromancer effectively working on a DLC model, perhaps this is the way forward to justify more Diablo 3 content. Alternatively, just make Diablo 4. Yeah, just make Diablo 4, and this time do it properly (like proper items with depth, thanks). Yes they got enough cash to do more for the diablo world, but be sure they will focus on Overwatch and WoW cuz its money in the bank, just look at the poll below, 62 % will pay max 15 USD for Necropack and yes all cry out loud for D4 but will dudes pay 50-60 USD for D4 and maybe a monthly fee ?? I think around the $12 would be a fairish price for it. That’s an interesting perception seeing that in relation to what you got for $60 when D3 released in 2012, a single character class shouldn’t amount to much more than $5, maybe. On the other hand, seeing Blizzard’s pricing on DLC, like virtual cosmetic gear, appearances, pets or mounts, I wouldn’t expect them to start below $20 for the necro. It’s more of a fantasy to believe that the Necro pack won’t be at least a financial success, because everything Blizzard does is. And things are worth whatever people are willing to pay for them, and they have smart people calculating what that is. That’s how markets work. If it’s not worth it to you, I advise you don’t buy it, but I guarantee you plenty of people will (including myself). The haters will get the necromancer so they can have more to find fault with. They are just a bunch of back seat drivers after all. Did I miss the part where we already know how much it will cost? They’re going to price it at a point where people are willing to pay for it. They’re not just going to jack it up for S&G’s. If it’s not worth it to you, don’t buy it. It’s really not complicated. Good one James. I’m sure the majority of people who play Diablo 3 wouldn’t pay more than the cost of a bad cup of coffee for a new class+. Avalon and sicilian. I have no idea why do you think the Necro pack will be a success? I’m not so sure. Many people like me who have bought D3 won’t buy the pack and anything D3 related. So you can remove your fans goggles and rethink your delusional statements based on you opinion only.I personaly have at least 10 friends with D3 and noone will buy Necro. Is that a coincidence or just shows what most of the people think about D3? It shows me that you surround yourself with people that think the way you do. You know, like most people do. Name me the last Blizzard product that wasn’t a financial success? You think you represent the entire fanbase, or that Blizzard decided to make a paid character expansion with ZERO research into how many people want to buy it? Leave your personal emotions out of it. Blizzard is not made up of stupid business people. Ok,how many D3+ RoS coppies has Blizz sold until now? 20 mill? 30 mill? I don’t know but the number is huge. Big part of them are sold due to previous D1 and D2 LoD enormous success.We all know that the title Diablo sells very well, but this ain’t going forever, and Blizz needs to understand that. After the fiasco of D3 and not much greater RoS expansion success many,many people including myself just quit the game and never came back. Do you expect them to come back because of Necro? I don’t think so. It’s the same game with the addition of one more class and thats all. I personaly didnt like at all D3 vanilla and partially liked RoS,but it’s nothing close to D2. And after I found other interesting RPG’s to play,there is no reason to come back and buy the pack for 3 reasons. It wont change anything mechanically and 2nd it will be to pricey for the quality it will actually offer. I expect the price to be at least 20$. For this amount of money I will buy Grim Dawn expansion which one will be very good. And the last reason is I dont have 20 hours per day to stay and play more than 1 rpg game, so I have to chose where to invest my free time. I have always been a Diablo supporter, but if I have to chose btw an Expansion of a good game and DLC of mediocre one, the choice is obvious. All I’m trying to say is,I personaly expect that Blizzard will sell much less DLC coppies compared with the huge numbers they have with D3 and RoS. I hate to say it, but the necro pack isn’t going to be a failure. There are plenty of white knights & casuals to support every game Blizzard puts out for the foreseeable future. That’s not to say that Blizzard hasn’t also alienated a huge portion of their early fan base with their recent offerings, a large enough chunk to keep companies like grinding gear games and crate entertainment well fed and growing. Eventually we’re going to just do like erg and that other guy always say, we’ll stop following Blizzard games and visiting Blizzard fan sites when it finally hits that the Blizzard of old ain’t never coming back. They seem to be at a cross roads now, making a SC HD which will likely be followed by a Diablo 2 HD. The thing is, Blizzard is likely only doing this to milk some money from their dwindling number of former fans who won’t pay for things like the Necro pack but will pay for a D2 HD. People probably won’t totally abandon Blizzard until they make Diablo 4 into some MMO or keep using the WoW art team for it. Blizzard has sold 30 millions copies of D3/RoS across all platforms since it was released. When I say it will be a failure its looking at what they have sold so far. Yes there are white knights and trolls who buy what ever Blizzard released and support Blizzard hoping a D4 will see daylight. They try to keep the pot boiling and nothing more. Sicilian wrote: If Blizzard decided to make a paid character expansion with ZERO research into how many people want to buy it? Well Sicilian look at the polls and what dudes really want??? I think you are the one who put emotionel in it and further more I think you are among the 4 % who would by all there have a blizzard logo on it. I agree with ADest that Blizzard are close to a cross road and Necro pack is a way to close the fact. For all the people talking crap in this thread, lets do the math. As of mid 2015 the combined D3/RoS sales were 30 million units. Lets assume that the RoS uptake was only 50% meaning that there were 20 million D3, and 10 million RoS. Lets also assume that if you don’t have RoS that you won’t (can’t?) be buying the necro. Now as to production costs for the Necro pack. Lets assume that it is 6 developers for 12 months, at a rate of $80K a year, which is $480K. Let’s round that up to 500 with some other misc costs. Now those numbers assume that 100% of the original sales are still playing the game, which is wrong. So those required percentages of players to buy the pack will go up. The big question that is going to come up is what the current active user count is. Which will dictate what the pricing will end up. Personally I feel that the adoption rate will be at least 30% of current users. That said, because it is new content, it will attract some players who have stopped playing the game back to try it out. But gauging that amount would be super tricky.